Ask most any owner or executive from the corner ma-and-pa newsstand to the Fortune 100 CEO if he or she is committed to creating an innovative product or customer experience and you will hear a resounding “yes!” from all. Then why is it that there are only a handful of companies that consistently deliver results that even come close to those wacky, northern California filmmakers at Pixar? Think about it. In the past fifteen years, eleven blockbuster hits in a row grossing over $6.5 BILLION and costing less than $1.5 billion to make. Are those not-so-innovative companies lying when it comes to commitment? In order to answer that question, let’s examine the definition of commitment. Commitment is defined as “being bound intellectually or emotionally to a course of action.” When it comes to being innovative and creative, the problem is that most executives are only bound intellectually to a course of action. Most companies go to great lengths to hire the most intellectually gifted employees. Yes, these are the ones who have had a 4.0 GPA since pre-school; the ones who have always followed the rules to the exact letter; the ones who have never taken a semester off to travel to Africa, South America or China; the ones who have never missed one day of school. What is lacking with most of these people is passion. Most would never think of trying something wacky that would break the rules or consider failure as a valuable learning experience. Now I am not suggesting that all super-bright job candidates and employees are boring, myopic, unimaginative people. 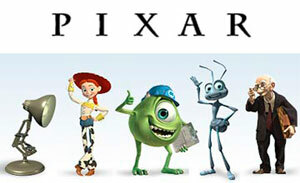 After all, Pixar co-founders Ed Catmull and Alvy Ray Smith both have PhDs in computer science. Yet just as important, or maybe even more important, was their independence, passion, and persistence to create the first computer-generated animated feature film. Creative ideas come from team collaborations, not top-down mandates. Ed Catmull disagrees with many of his counterparts in Hollywood studios who insist that Pixar and Disney have all the “great idea people.” It is not about great ideas… it is all about great teams. Ed’s belief in his team is evident in his words: “If you give a good idea to a mediocre team, they’ll screw it up. But if you give a mediocre idea to a great team, they’ll make it work.” It is not about one great idea, it is about the thousands of little ideas that come from everyone on the team that go into the final product. Passionate leaders get their power from enabling others to do their work, not telling them how to do their work. Teaching soft skills such as collaboration and improvisation are as important as teaching the hard occupational skills. Innovation demands the ability to live with ambiguity. When you don’t have all the information, intuitive decisions are necessary. Spending time trying to avoid failure often results in stagnation. As Pixar University dean Randy Nelson explained, “failure is that negative space around success.” Being able to quickly try, fail and try again. Innovative leaders create teams that are highly diversified. Think beyond achieving a balance of gender and race…hire some “wacky” free-thinking creative folks! Passionate innovate leaders make work fun. Disney and Pixar Animation Studios chief creative officer, John Lasseter reflected: “We worked really hard, but we also had so much fun, and it showed up in our work. We’d goof off, we’d laugh, we’d work together, and we’d look at and give feedback on each other’s stuff. And the creativity just sort of overflowed.” Remember when you take yourself too seriously, life ceases to be fun. Learn more about Bill Capodagli and his book Innovate the Pixar Way.